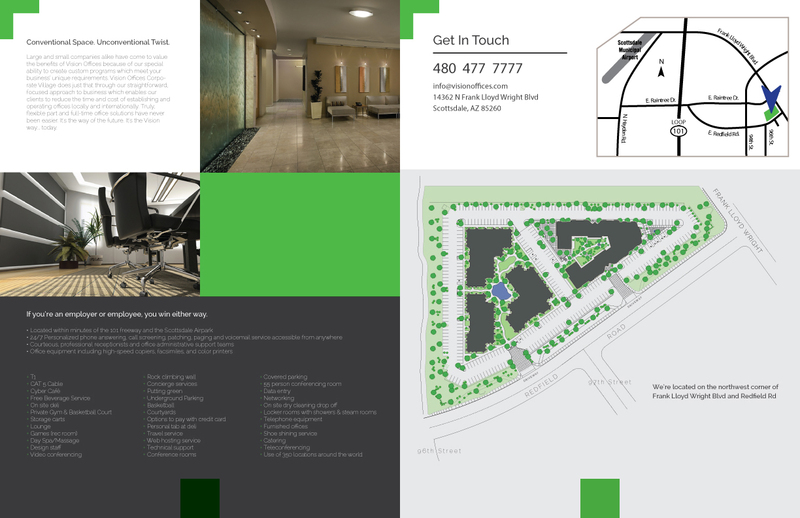 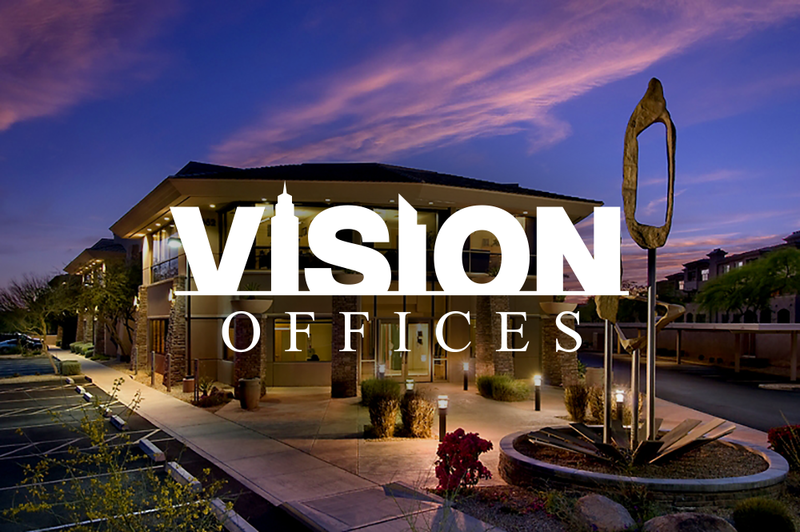 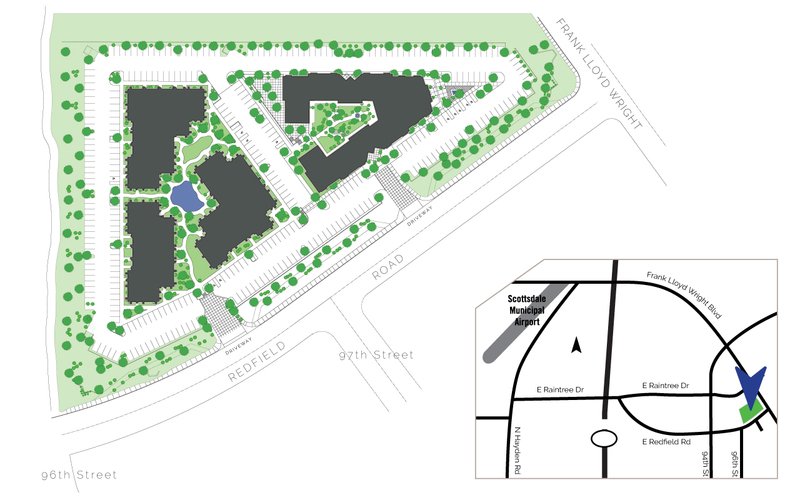 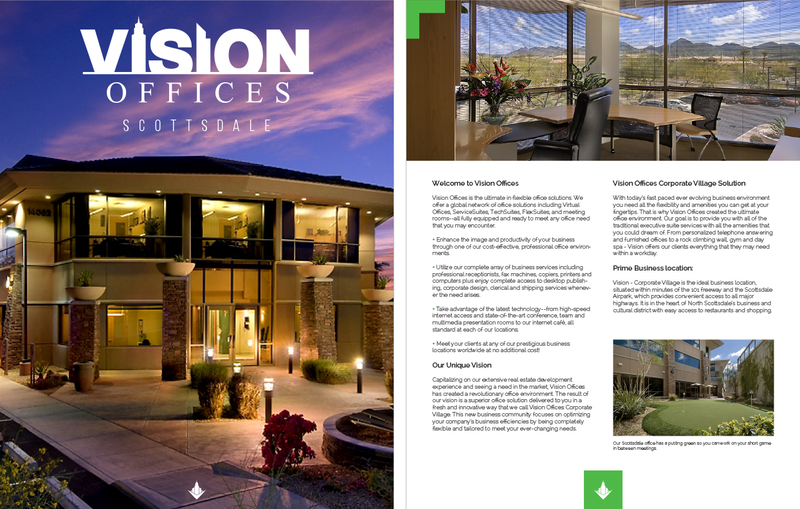 Vision Offices is a provider of flexible office space solutions in Scottsdale, Arizona. 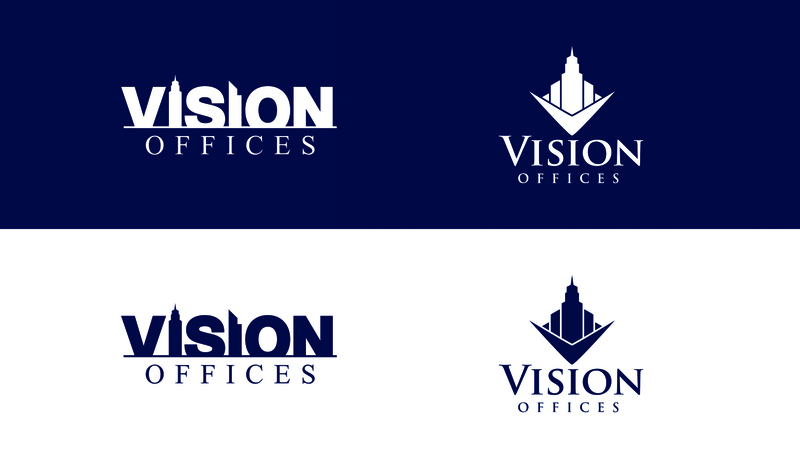 The company wanted to update and simplify its logo and brand collateral. 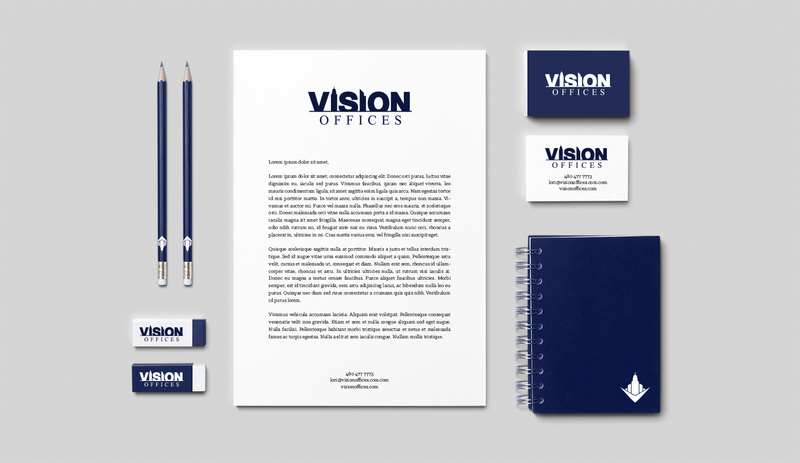 A city skyline theme attempts to evoke a sense of professionalism and big city corporate culture.